Barrel: 26.75″ (68 cm) – 4 Groves, right hand twist. Stock: Fully adjustable, thumb-hole, Ventilated target style wood stock. Stock Laminated wood or molded fibreglass with adjustable cheek and Length of Pull. Magazine: 5 round detachable box magazine. Stock: Wood with adjustable cheekpiece and rubber recoil pad. Sights: Fully adjustable iron sights with provisions for optical sights. Features: Harmonic Balancer, Flash hider, Bi-pod. 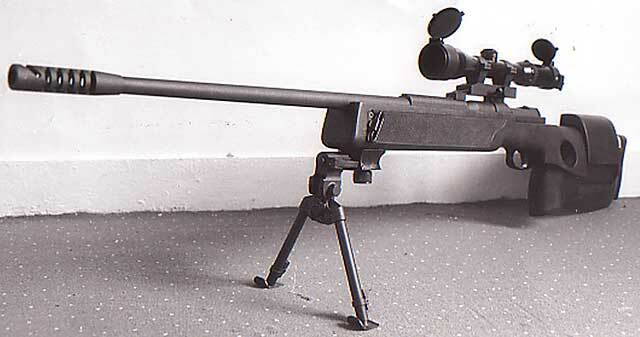 All data below is for the rifle tested here which was custom built to ordered specs.